Total compensation is calculated as the sum of base salary, discretionary and performance-based cash bonuses, the grant-date fair value for stock and option awards during the fiscal year, and other compensation like benefits and perks. Equilar, an executive compensation data firm, looked at CEOs of companies with more than $1 billion in revenue in the most recent fiscal year. Pay data based on companies' fiscal year end of Dec. 2014 unless otherwise noted. 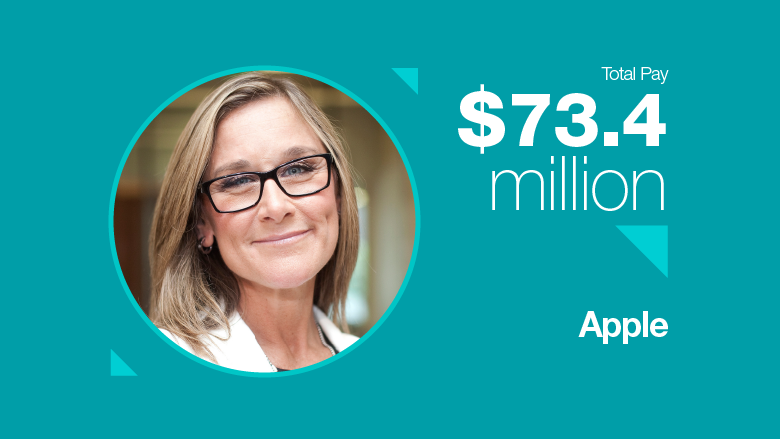 Ahrendts joined the Company on May 1, 2014.